Not sure if the chocolate bars are included by Elinchrom or the web shop that I bought the Rotalux from, but it was a cool extra to find in the box! Why I got this, other available options and initial thoughts are all listed down below, so read on! First off, some softer light was long overdue. And I was getting tired of using bed sheets in the doorway as my giant softboxes. The Portalite 60x60cm softboxes that come with the BX 500 Ri kit are fine, but it is a bit difficult to work with them when subject is bigger. 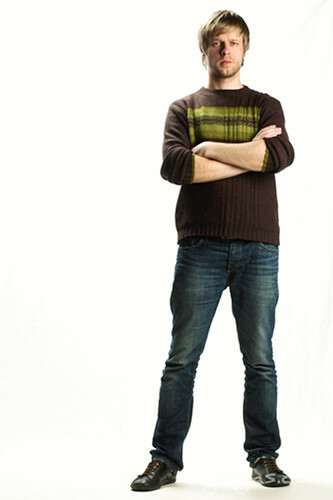 And full length portraits tend to have light falloff at the feet. All of that and the fact that I really wanted a new toy... was enough to convince me. Well, the upcoming dance competition where I was supposed to take hundreds of pictures and be a photo factory for the day might have something to do with it too. OK, I want softer light. 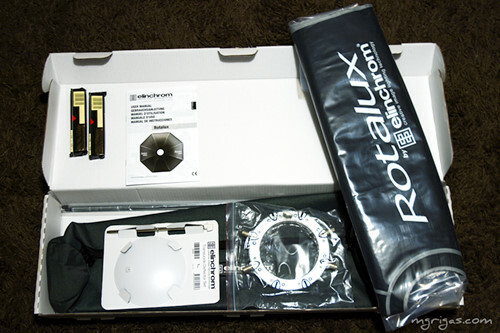 The financial reality allowed me to choose between Rotalux 90x110cm and Rotalux Octa 135cm. I am rather sure both can produce similar quality light. The reason I chose 90x110 is because I like square reflections in subject eyes and because the square softbox has a very important (IMHO) accessory- the grid! Neither of the two is available with the Octa 135, therefore it was a done deal for me. 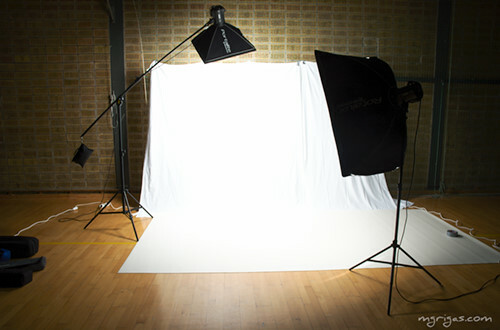 I am not considering third party softboxes at all, that is why nothing else but Elinchrom is talked about here. For that I have my bed sheets. Two diffusors and a translucent deflector kit is also included in the box- all to make sure that light spreads through the whole box. And it does! This is what came out of the camera and bibble with only crop applied. I know, a bit out of focus... but the camera was just laying on a table and I had no one else to help me at the time... Anyhow, back to the light- soft, even throughout the whole body length. All seems to be OK. I never felt more ready for taking a ton of pictures that after this evening of preparation!